Dress it up or dress it down, this soft jersey V-neck tee pairs perfectly with jeans, shorts or a maxi skirt, and of course her favorite accessories. 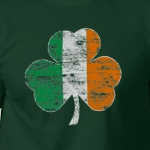 It's the very popular Irish Flag Shamrock Distressed T-shirt! 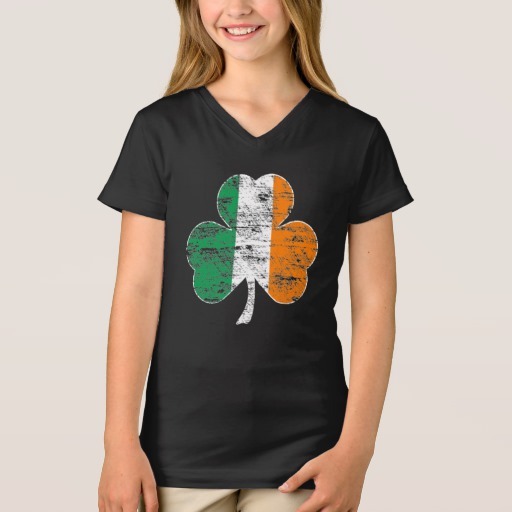 An awesome shirt for Saint Patrick's Day parties, or a great gift for ANY occasion!